The Sims 4 next expansion will be called Get Famous. It’s set to release November 16th, and your Sims will be able to, you know, get famous. 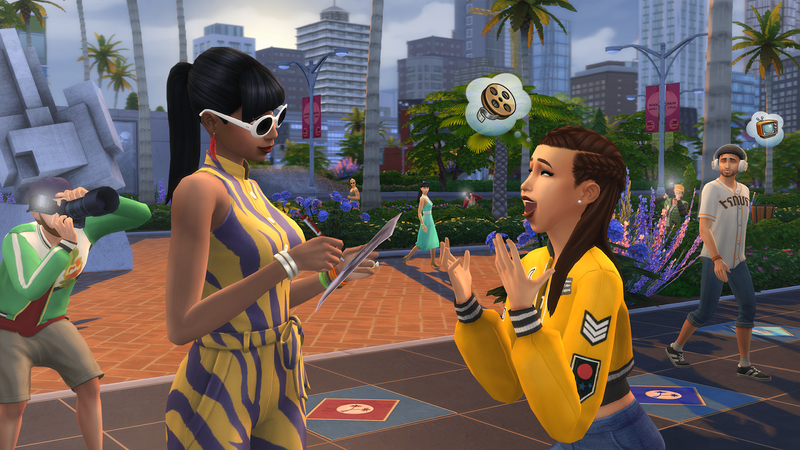 Get Famous comes with a new world, the Hollywood inspired Del Sol Valley, and two new careers: acting and the nebulously named “influencer” career. The Sims’s team has even teamed up with an honest to god influencer, a singer and YouTuber called Baby Ariel, who I am sure the audience of The Sims knows about. She has even contributed her apparent hit song, “Aww,” to the soundtrack. As for me, I’m excited for the expansion’s new streetwear-style clothes and the promised “gold-plated furniture,” which will be useful for furnishing the house I’ll build for my Sim of Drake. You think they’ll also have a cream with real diamonds in it?